I'm very excited to tell you that I'll be back in Jersey to teach four workshops on 19, 20 and 21 May 2017. I was in Jersey teaching workshops three years ago and had a fabulous time. 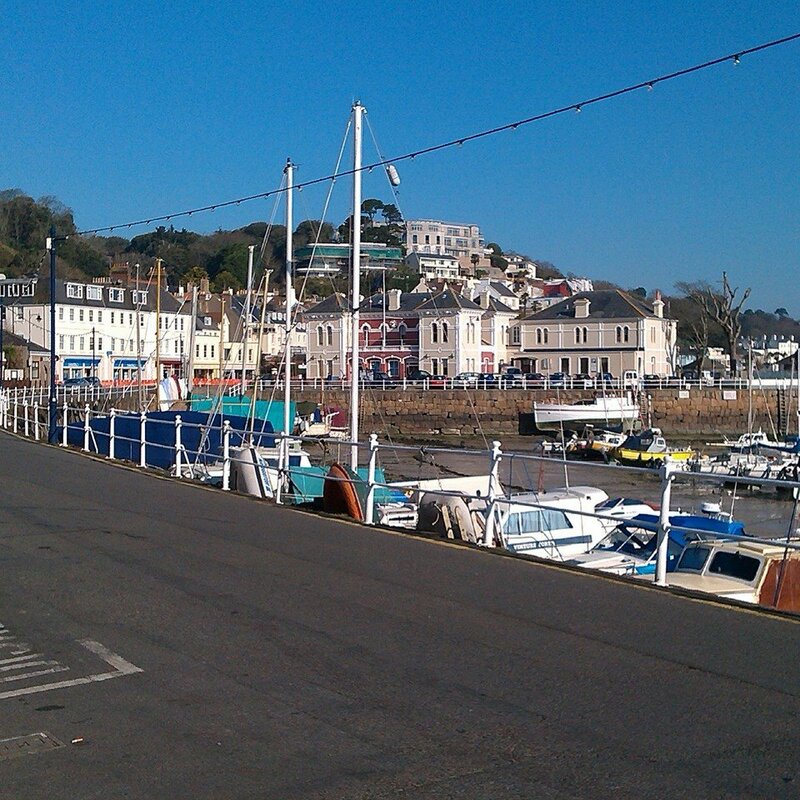 These workshops are organised by Hazel from Entrelac Yarns and will be held in St Aubin's Bay (above photo). If you're interested in more details or to book, please contact Hazel on entrelacyarns@gmail.com or text to 07797 918788. 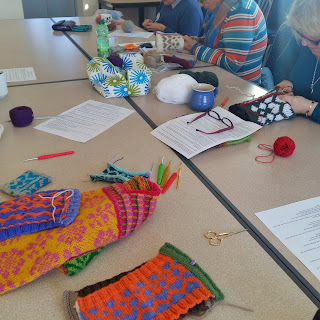 We're kicking off with Continental Knitting on Friday afternoon. 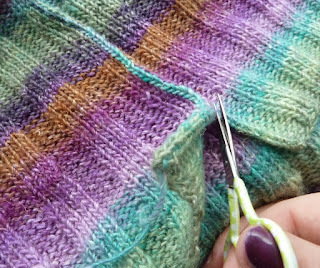 In this class you'll learn how to tension the yarn in your left hand, knit the continental knit stitch and the Norwegian purl stitch. 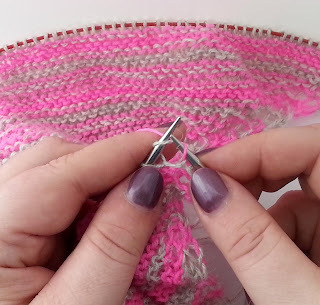 With the Norwegian purl stitch, you will be holding the yarn at the back for purling (as well as knitting) which makes it much quicker when working combined knit and purl stitch patterns. 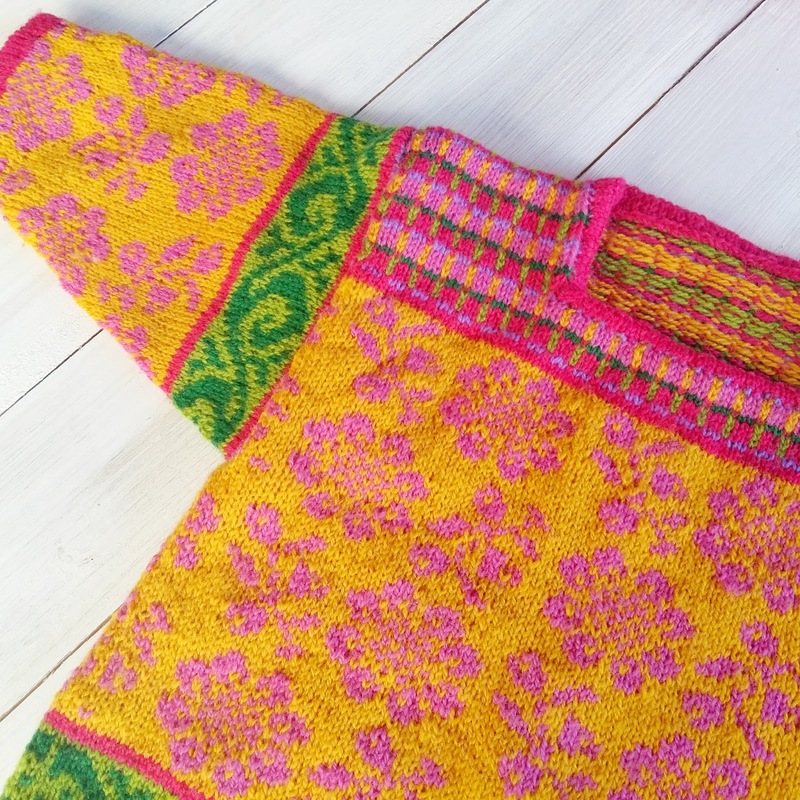 Holly, of Marvellous Makes, came to my Continental Knitting with Norwegian Purl workshop last weekend and you can read her impressions from the class here. She said: 'It was a really enjoyable workshop – Anniken is a great teacher and takes things in small logical steps so you can understand and slowly master the techniques. If you’d like to brush up on some knitting skills, I’d thoroughly recommend trying one of her workshops'. Holly took a full day class and the class in Jersey will be half day but you'll learn all the same things. On Saturday afternoon, I'll be teaching Fair Isle/Stranded Colour Work. Stranded colour work includes both traditional Fair Isle and traditional Scandinavian colour work. You will learn how to work with two colours at the same time, how to hold two colours, how to strand the yarn, how to knit in the round using the magic loop technique and how to read a fair isle/stranded colour work chart. Suitable for knitters confident in basic knitting techniques. This is the perfect class to follow on from the Continental Knitting workshop as you'll be getting a head start when it comes to knitting with one colour in each hand. 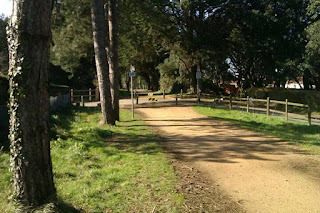 On Sunday, there will be two half day workshops. In the morning, we'll be tackling how to knit in the round. Knitting in the round is becoming increasingly popular as more and more garments are worked in the round. In this class you will learn how to knit in the round on circular needles, double pointed needles and the magic loop technique. After this class you will be confident enough to tackle any garment or accessory which is worked in the round. Suitable for confident novice and intermediate knitters. On Sunday afternoon, we'll tackle Steeking. Not heard of Steeking? So that a garment can be knitted in the round, the traditional method of steeking is commonly used in Norwegian and Fair Isle patterns to cut the holes needed for armholes or down the front of a sweater to turn it into a cardigan. You can also use steeking techniques to alter a garment to make it smaller or change the shape. This workshop will include how to reinforce a steek before cutting, the 'steek sandwich', how to cut and how to pick up for edgings. We'll also cover topics such as why steeks are used, how they are used in various designs, and the benefits of being able to knit items in the round without worrying about armholes or knitting fronts of cardigans separately. If you are coming to the Fair Isle workshop, you'll be working on the tube you knit in that class but otherwise, you will be required to knit a fair isle swatch in the round (pattern will be provided) in advance of the workshop. 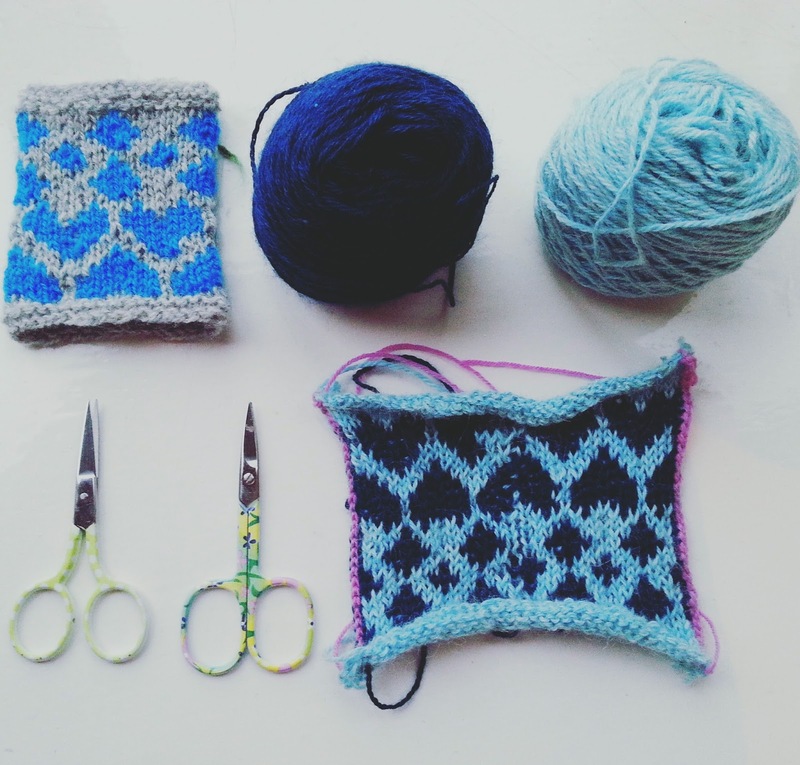 Suitable for intermediate knitters or anyone attending the Fair Isle workshop on Saturday. Workshops will cost £28 each. If you book two or more workshops, they'll be £25 each. Please contact Hazel at entrelacyarns@gmail.com or text to 07797 918788 for further details and to book. 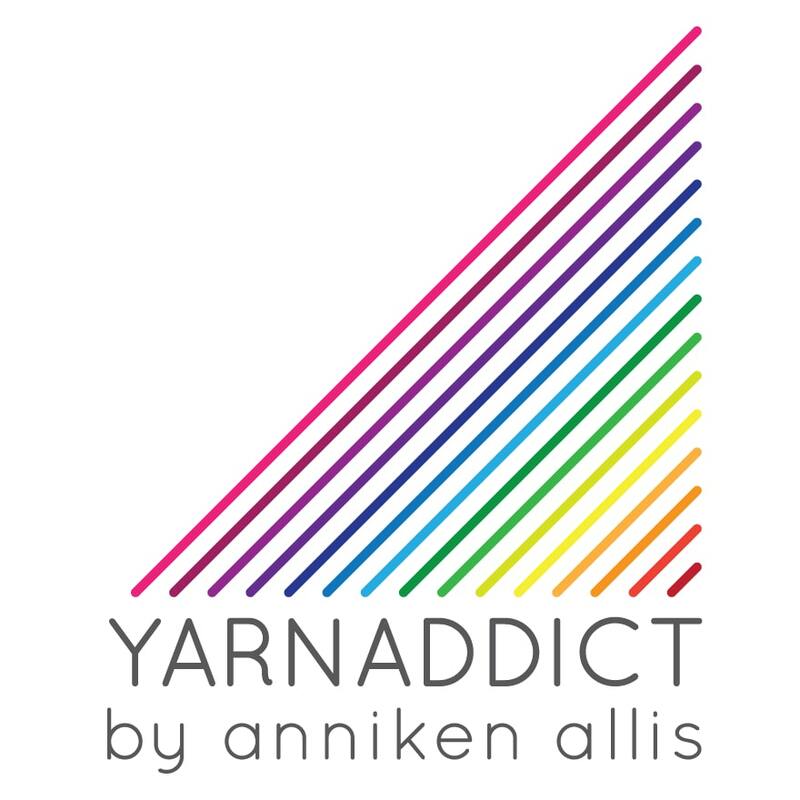 Sarah, who came to one of my workshops recently says: 'Just to say Anniken's workshops are fantastic! Lots crammed into the time and a great teacher and experienced knitter'. So will I see you in Jersey? 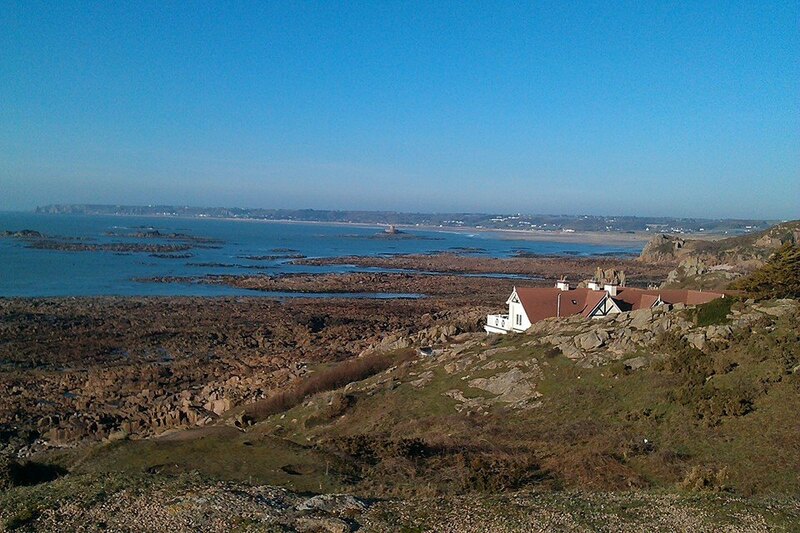 If you've never been to Jersey before, I highly recommend going as it's such a beautiful island. If you fancy taking in some sightseeing, you can travel around the island easily by the local buses. 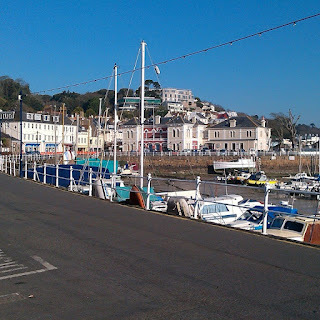 St Aubin's Bay is beautiful and easily reached from the air port. There are plenty of hotels, guest houses and B&Bs as well as restaurants. There are a network of cycle paths on Jersey which we took full advantage of the last time we visited. 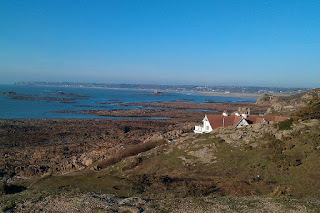 Taken on one of our bike rides in Jersey three years ago.